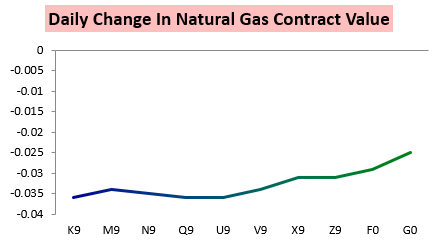 It was a down day in the natural gas world today, with prices in the May contract falling nearly three-and-a-half cents on the day. While the May contract took the biggest hit, later dated contracts also finished the day notably lower. 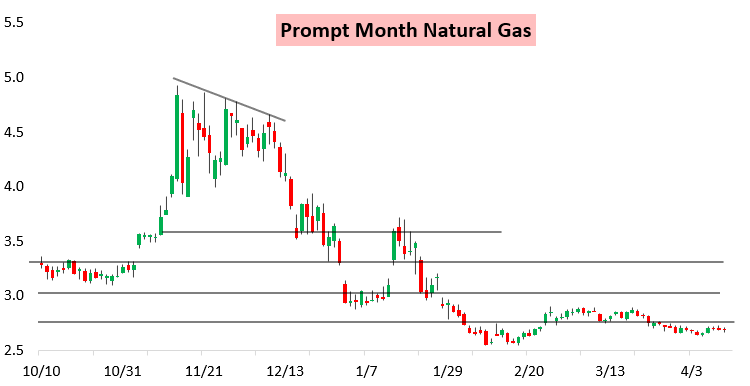 The pressure came despite today's EIA report, which showed a smaller injection that what the market had been anticipating. It was still larger than the 5-year average, however, which helped the market shrug off the miss. 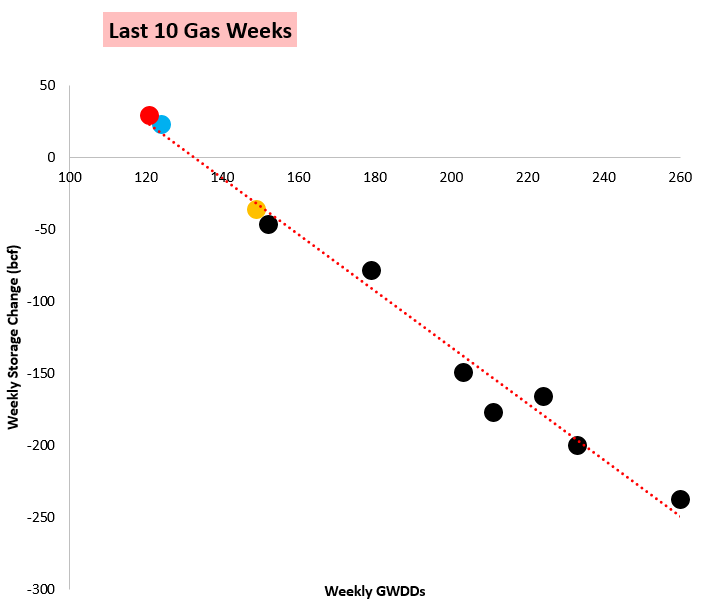 It also still confirmed that supply / demand balances remained very week, coming in just above the trendline of the last 10 EIA weeks. 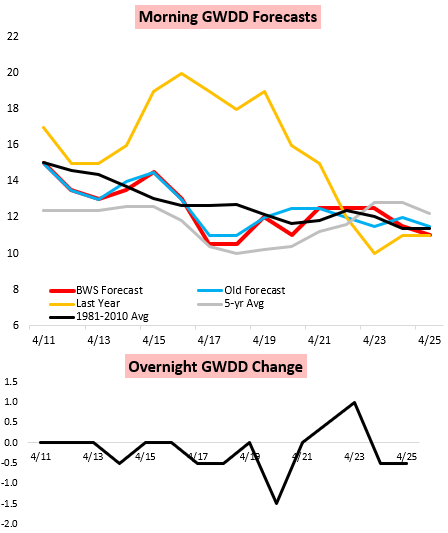 The upcoming weather pattern appears unlikely to do much to move the needle as far as natural gas prices are concerned either, with expected demand running at levels close to seasonal normals, a far cry from a year ago when weather demand was very strong for April standards. 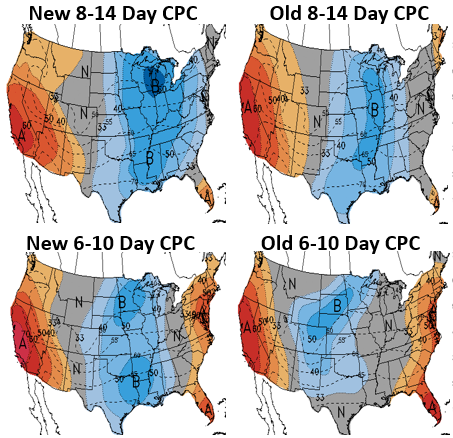 There is some cold air to be had across the nation, but staying stuck mostly in the middle of the nation rather than impacting more of the larger population center, although today's guidance does hint at some eastward progression of modest cold in the 8-14 day time frame. 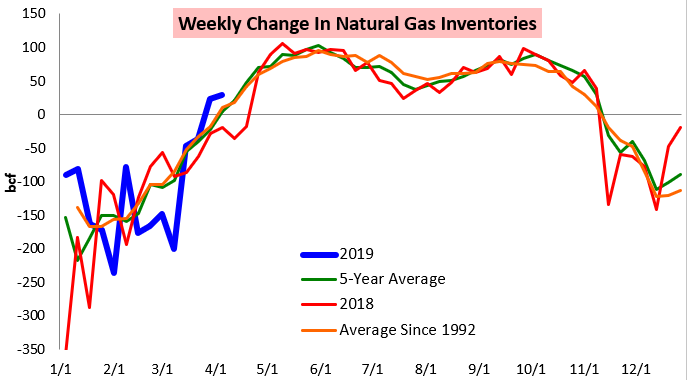 Will this be enough to help give natural gas prices a boost going forward, or will a weak supply / demand picture continue weighing on the market? Sign up for a 10-day free trial here to take a closer look at our research and thoughts.